The Loving Memory Heart Pendant with Pawprint is available with a sterling silver or a 24k gold-plated bail. 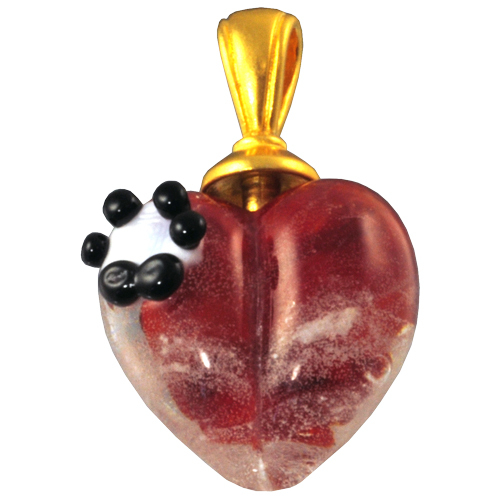 It contains your loved one's ashes swirling around the center of the heart. Each is approximately 3/4" not including the size of the bail and is custom made to order and come with a 30" sheer ribbon. Each glass memorial is handmade and therefore color and shape may vary slightly. Handmade in the USA.